The first kidney transplant was performed in 1954, at Peter Bent Brigham Hospital in Boston by Dr. Joseph E. Murray, from one identical twin to another. In 1990 Dr. Murray shared the Nobel Prize with another transplant pioneer, Dr. E. Donnall Thomas, who was the first to perform a successful transplant of bone marrow. In the decades since these first transplants, we've learned much about how to prevent rejection of transplanted organs, and kidney transplantation has become a good alternative to dialysis. 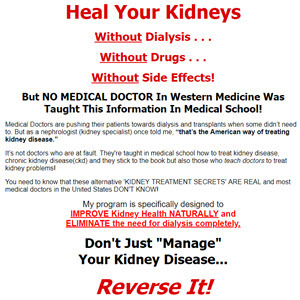 If you have progressed to end-stage renal disease (ESRD), a kidney transplant may be the preferred treatment for you. Transplantation has even been recommended to infants, elderly patients, diabetic patients, and those with other significant health problems who would not have been candidates in the past. A kidney transplant offers improved quality of life over both kinds of dialysis. Patients who do well after transplantation generally report improvement in vitality and freedom to return to the style of life that they experienced before their progression to ESRD. A successful transplant takes a coordinated effort of a whole healthcare team, including your nephrologist, transplant surgeon, transplant coordinator, pharmacist, dietitian, and social worker. But you and your family are the most important members of your healthcare team. By learning about your treatment, you can work with your healthcare team to give yourself the best possible results, and you can lead a full, active life.